To meet diverse requirements of our clients in the best possible manner, we are offering a comprehensive range of Chain Link Fencing Net for Animal Enclosures. Offered fencing net is manufactured by adept professionals using optimum quality raw material and progressive technology in sync with industry norms. 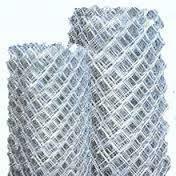 So as to meet the needs of our clients, this chain link fencing net is available in different specifications. 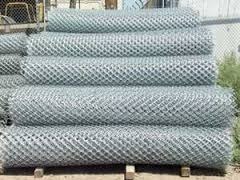 We are reckoned manufacturer and supplier of premium quality Galvanized Chain Link Fencing. 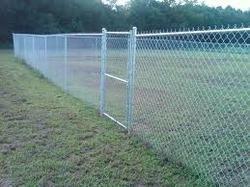 This link is widely used for the purpose of fencing or marking boundaries. Our offered link is manufactured with the help of premium wire that is sourced from most authentic vendors in the market and cutting-edge tools. A Residential Wire Fencing is a natural for fencing yards to protect children and pets in urban and suburban neighborhoods around the country. It is one of the most effective barriers home-owners can use to protect property, children and pets. You can see through it — the open weave gives people the opportunity to provide security while seeing both inside and outside the barrier. It doesn’t diminish your view; it just helps keep neighborhoods and people safe and secure. 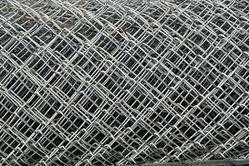 chain Link Jali is manufactured from metal wires welded using an electronically controlled electric process employing the principle of fusion combined with pressure at their intersections. This gives a homogeneous section without any loss of strength or area. Our range of Weld Mesh in stainless steel is ideal for industries where hygienic and corrosion-free applications are carried out. It is generally made in qualities. 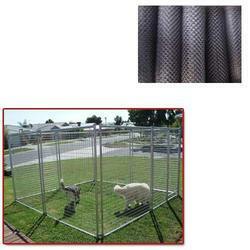 Looking for Chain Link Fencing Net for Animal Enclosures ?